Asking relevant and intelligent questions has always been an integral part of human learning, as it can help assess the learner’s understanding of a piece of text. However, compiling questions manually is arduous. Automated question generation (QG) systems can help, as they have the ability to generate questions quicker and on a larger scale. A typical scenario is evaluating students on reading comprehension, where it becomes tedious for a teacher to manually create questions, find answers to these questions, and then evaluate answer papers after the test has been administered. All these complex tasks can now be automated using an automatic question and answer generation system. 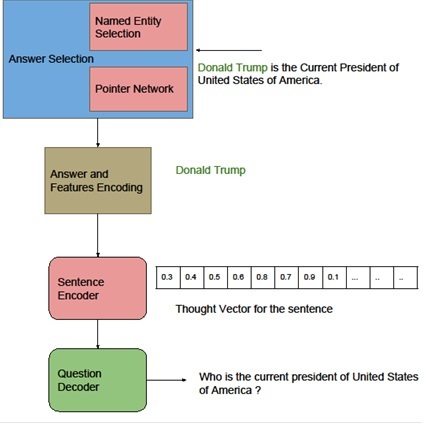 This is why research scholar Vishwajeet Kumar’s project titled, ‘Automatic Question and Answer Generation from Text’ has tremendous potential in a scenario where scientists are closely examining the efficacy of neural network-based methods in question generation from text. Early attempts at automated question generation depended heavily on a strict, limited, ad-hoc, and hand-crafted set of rules. These rules focus mainly on the syntactic structure of the text and are limited only to sentences of simple structures. Recently, the success of sequence-to-sequence learning models has opened up possibilities of looking beyond a fixed set of rules for the task of question generation. An automatic question generation system has applications in areas as diverse as FAQ generation, intelligent tutoring systems, and virtual assistants. Question generation can be naturally applied in the educational setting such as online courses, automated help systems, and search engines. It can also be applied in a wide variety of other domains — including chatbot systems (e.g. for customer interaction) and health care for analysing mental health. The IITB-Monash Research Academy is a collaboration between India and Australia that endeavours to strengthen scientific relationships between the two countries. 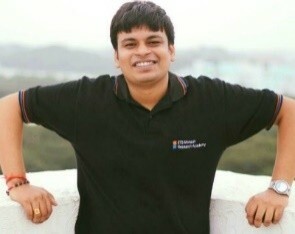 Graduate research scholars like Vishawajeet study for a dually-badged PhD from both IIT Bombay and Monash University, spending time at both institutions to enrich their research experience.